We are very happy that we used your company and would highly recommend you to others. We couldn't have had a better experience. Everyone was so nice! You were recommended by a good friend and we will highly recommend you ourselves. Great Experience! Gary was great---helpful, competent, great information, very nice, professional. He is a real asset to the company. The installers did a fine job. Come to find out that my installer lived only 45 minutes from me in Connecticut. He was great. When I order my carpet, I would love to have him install it. He installed the tile in my kitchen and it came out better than expected. I would recommend Brentwood to all of my friends. Great Job !! Gary was a pleasure to work with at all times. He remembers personal information and really goes the extra mile to make sure we get what we what and what we need. For example, he spoke with me multiple times over the course of a month or two to coordinate our purchase and installation. Each time he was jovial while being professional. I loved my experience. Everyone was friendly, knowledgeable, and helpful. I appreciated recommendations for the best type of flooring we needed for our home office. It looks great and is exactly what we needed! Mr. Armstrong was professional, dedicated and available to talk, even when he was away from the office. All in all, an excellent experience. I will definitely buy from your company again. We moved into a new home with beautiful bamboo floors, however, over time, we noticed that the bamboo was shrinking, leaving gaps between floor boards in several places. I called Brentwood and explained the problem, and Harry came out right away, bringing the distributor with him, to evaluate the situation. Harry worked with the manufacturer to come up with a solution and the installation team at Brentwood came out to do the repairs. The problem was completely fixed as a result of Harry's quick and thorough action and the expert installers at Brentwood. Due to the professional nature of both the sales person and the installer, I would certainly recommend Brentwood Carpets Flooring America to others. This is my third job done by Brentwood and I have always been very satisfied. Needless to say, we were very pleased with Brentwood Carpets Flooring America from selection, to installation, to payment. Thank you. The team was prompt, and the prices were great. Everyone was very attentive to my concerns and questions. Great service, knowledgeable, friendly and competitive prices! Our experience was above our expectations! Thank you! A special thanks to Gerry for all of his input, advice & assistance. The installers were excellent. They did a super job. I just love my new carpet. Thanks!" I will come back when I need new carpet at my new home. Thanks! I am loving the new carpet. Great service. I appreciate the rep coming to the house to take care of all the details. The store offered a much better deal than other stores in the area, and offered the designer carpet I was looking for even though it was not in the store. The sales person was willing to locate and order it for me. Overall, I had a very good experience. The installer was great…he showed up on time and finished in a timely manner. Jeff was extremely helpful in helping me find the type of carpet I wanted and especially the color. He was patient and very knowledgeable. The installers actually arrived at the appointed time. They were friendly and very efficient. When they returned the furniture to the room it was exactly where it was supposed to be - I did not have to adjust a thing. All in all this was a very pleasant experience. We went into the showroom with the intent of just looking and pricing carpet replacement in two rooms of our home. Gerry was so helpful that we decided to proceed right away. Charlie, the installer, was very knowledgeable and moved furniture without a problem. Mr. Odom has been particularly impressive each time I have utilized the services of Brentwood Carpets Flooring America. It truly is because of his friendly and professional nature that I felt it totally unnecessary to receive further bids. The cost was worthy of the service expected and received. Thanks Gerry! Very professional. Only good things to say about our entire experience with your company. Thanks. All very positive with sales person and installers, we do have a dye problem with the carpet we bought but the sales person quickly took care of it to our satisfaction. Brentwood Carpets installed a carpet for our company, Glass Doctor, in our conference room and also replaced our front entrance with tile. They were very quick to quote & did a fantastic job with the installs. The technicians that came out were friendly and efficient. I highly recommend them! We had a huge undertaking that included removal of a tile floor that was a Herculean effort based on how it was originally adhered, as well as some sub-floor repair after it was finally removed. The folks at Brentwood were extremely professional, knowledgeable, and diligent in taking care of our initial issues and laying new flooring in the entirety of the upstairs and 2 sets of stair cases. I could not be more pleased with the final results. The office staff was in touch with us throughout the process to ensure everything was scheduled properly and ran smoothly, and I can't say enough nice things about Wes and his team's installation. I would enthusiastically recommend Brentwood Flooring to anyone who is looking to get flooring put in. Brentwood came and installed our whole house with new carpet in one day! They were very professional and cleaned up all the old carpet. From start to finish, Brentwood was awesome! Jeannie our sales person in the Cary office, was very patient and knowledgeable. She came to our home to help us choose which carpet worked best also. The installers called promptly to set up an apt, and were very accommodating to our schedule. The installers were on time and polite. They did an awesome job, and we were very satisfied! We have recommended the company to many friends. I walked into your store looking for carpeting to replace in my back stairwell. I was shown the carpets in stock and was told about each carpet I was interested in. I asked for quick installation – visit was on a Friday – I needed installation on Monday or Tuesday of the next week. I was told it could be done and was asked to pick a day. I chose Tuesday. Installer came and was very professional. They did a great job. Thank You! This is a good example of how local businesses trump large home improvement stores. Not that I have anything against large hardware stores (I still use them) but I have to say the service, care and pricing we received at Brentwood was amazing. We recently purchased a home and the carpet in it was nasty (pet stains an odor). 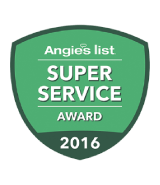 Initially we wanted to go with Lowes since we had a 10% off coupon and we were satisfied with their service until we got our estimate. They had overestimated the Sq footage by over 400 sq ft and insisted that it was correct, so we looked at alternative and I am glad it led us to Brentwood. Martha at Brentwood handled our purchase and I have to say she went above and beyond in helping us. She gave us a realistic sq.ft estimate and came back with an even better price for a better carpet ($1500 less). To add to this, we had a water leak a day before the installation and Martha was so nice that she stopped by, removed the wet carpet and helped us dry the area. The install is also worth mentioning as it went smoothly and everything was clean and in place when we returned home. I still love my large department stores purely due to the convenience but my experience with Brentwood has opened me to new options. We are very picky with whom we pick and always go off of reviews. So trust me when I say that I highly recommend Brentwood and will definitely recommend it to family and friends. The installation at my condo in Trailwood Heights was just as good and professional as the work they did in my home in Cary. Again, my wife and I will recommend you to anyone looking for floor products. Your "Customer Service" is top rate. Wes was so easy to work with! He had all the answers I needed, had the job set up quickly, and made sure everything went as planned. The price I got for my carpet installation was better than the big box stores. The installers were nice guys and worked quickly to get the job done. I was 100% pleased! I am highly impressed with Brentwood Carpets Flooring America. Everyone I have spoken with has been courteous and professional. I believe I have received an excellent value and quality products as well as expert installation. I will only think of Brentwood Carpet for my flooring needs. Matt and his team always do quality work! From the selection and estimate to the final install they do great work. They left the jobsite neat and tidy! We have been doing business with Brentwood Carpets Flooring America since it first opened and the service and sales capabilities have always been the best in their own industry and the best of any other service providers we have used... that is, over thirty years. This is the first time that we have ever replaced carpet. I had no idea what to expect. Honestly, you made it so easy to decide on the right carpet and then got it installed quickly and efficiently. We will definitely do business with Brentwood again, but not until the 20 year warranty expires on this new carpet! Until then, you can count on us pointing people in your direction. GREAT EXPERIENCE--NO PROBLEMS--WENT AS PLANNED--WILL REFER TO FRIENDS"
I had the most pleasant experience from start to finish. I checked out the big-box stores (Home Depot, Lowes, etc) first, but I'm thrilled with my choice of Brentwood for my new carpet. The customer service was beyond excellent and the cost was lower than if I had gone with a big-box store! Wes was on top of everything and I never had to wait for an email or call. The installation crew was as very professional. I will absolutely return if I ever need new flooring. When we decided to purchase carpet again I actually looked forward to shopping again at Brentwood. We have used you before for our kitchen, living room, dining room, hallway and stairs and were very happy. Now we have had our two bedrooms done and again are very happy with Brentwood Carpets Flooring America. Thank you. Martha was very knowledgeable, always helpful, even after several trips for samples. Installers, these men were fantastic. Worked quietly and efficiently. Neat and careful at all times. I highly recommend the store, sales and installers." This was our 3rd experience with Brentwood. We would never have had experience #2 or #3 if our first experience was not good. We enjoyed working with Jeff Armstrong through the whole process. He always promptly returned our calls if we had any questions and the installation was done efficiently and neatly. Very pleased, would go there again. I needed next day installation on carpet for a room and Cheryl came through!! Excellent salesperson and worked with me to get the job done. My husband and I were very pleased with the service we received. We will definitely come back to Brentwood for any future projects." My experience with Brentwood was very good! Best crew of installers that we have ever had! I highly recommend Brentwood Carpets Flooring America! They have a phenomenal in-store selection and can also assist you with something you found elsewhere or in a magazine. They have two locations, Raleigh (main store) and Cary. My suggestion is to go to the big-box store first, note the four points I've mentioned above, and then go to Brentwood. You will surely see the difference. Antonio, our lead carpet installer was absolutely exceptional! He was professional in all that he said and did. He was a great team leader and did an excellent job of meeting client expectations. Wesley was also excellent and always provided prompt responses to any requests. Congratulations to the Brentwood team for a job well done!